Three of TXSU’s four CIT games have resulted in overtime wins, but the Tigers did not survive their OT appearance on Tuesday night. 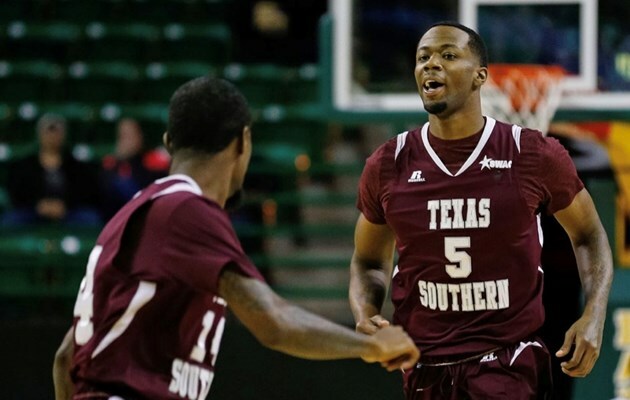 Texas Southern played Green Bay on Tuesday night and found itself in overtime for the third time in the College Insider tournament. The Tigers fought, but exited the CIT with a heartbreaking 87-86 OT loss in a game that mirrored their season. Texas Southern did not go down quietly. TXSU closed out the first half cold for just under three minute, but only trailed 36-32. The Tigers made up for the four-point deficit in the second half, outscoring Green Bay 44-40. A layup from TXSU’s Jeremy Combs with seven seconds left knotted the score at 76 to take the game to overtime. The Tigers took a one-point lead with six seconds remaining in overtime, but a jumper response with one second left on the clock gave Green Bay the 87-86 win. Tyrik Armstrong led TXSU in scoring with 23 points, followed by Jeremy Combs with 21 points. Texas Southern’s season ends at 24-14 overall in the first post-Mike Davis season. It was a season that started with much excitement with three wins over P5 programs in Texas A&M, Baylor and Oregon. It then saw ups-and-downs in SWAC play, failing to win a conference or regular season crown for the first time in over half a decade. Its CIT run was a thrilling one that also left fans wondering what it may have been able to do in the NIT or NCAA Tournaments.